My studio is full of mamas and babies as I candidly discuss experiences and feelings about body image post-baby with a panel of three incredible moms. 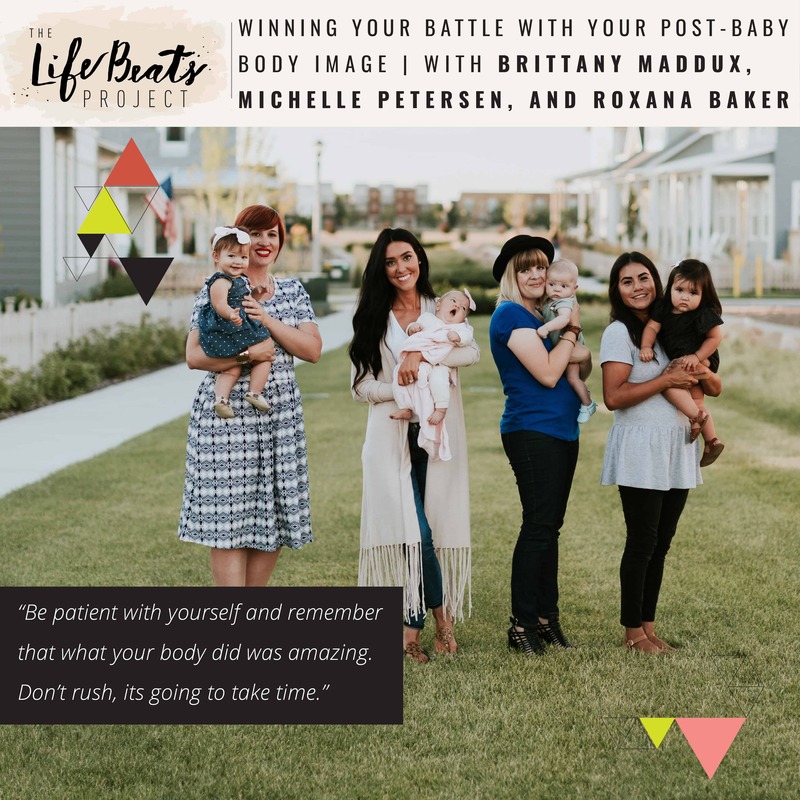 Michelle Petersen from The Mumsy Blog, fashion blogger Brittany Maddux, and Roxana Baker of Roxana B Photography join me as we openly share our struggles with the way we view ourselves and even moments when we have wondered who that girl is looking back in the mirror. We dive into what experiences and beliefs have shaped our view of what we should look like and how we work on safeguarding our own children from an unhealthy body image. What we struggle with varies but we each relate the things that have helped us through moments of definite discouragement and what we would say to someone struggling with this right now and for those still planning on having more children, what they (because you know I do not fall in that category) would do differently during their next pregnancy to prepare for their post-baby body. You are not alone, whether you have given birth to children or not – it is something we all struggle with, and we hope our very candid responses help you to feel that! Want to know if this episode it for you? This episode is perfect for someone who is struggling feeling comfortable or recognizing themselves in their post-baby body or anyone that battles with body image issues. It is also perfect for a newly pregnant women who is looking for ideas on how to prepare for their post-baby body. It is also wonderful for someone looking to overcome discouragement as well as a mom who is looking to find time to do those things that will rejuvenate her. our experiences when we have looked in the mirror and thought ‘who is that’?